40th anniversary reissue of a deep Canadian classic, David Pritchard's enigmatic Nocturnal Earth-worm Stew, subtitled in French Bouillabaisse Nocturne aux Vers de Terre. Originally scheduled to be released in 1976, the record didn't come out until 1977, approximately 40 years ago. Although a CD reissue saw the light in 2004, both CD and original record are now hopelessly out of print. Nocturnal Earthworm Stew is a glorious experiment in electronic music, capturing the vitality and early curiosity of the 1970s. An earlier press statement called it "Serious headphone music made under the influence of Stockhausen, John Cage, Stravinsky, Frank Zappa, Weather Report and others." The influence of prog and space rock is pronounced, and contributions from Canadian prog legends Nash the Slash and Martin Deller (of FM) solidify Nocturnal's place in the prog cannon. The website Prog Archives calls Pritchard a "pioneer in experimental, cosmic-synth electronics." The Artoffact Records reissue is housed in a gorgeous gatefold sleeve, complete with photos, reproductions of essays by David Pritchard and Nash the Slash, and an all-new piece by Scott McGregor Moore. 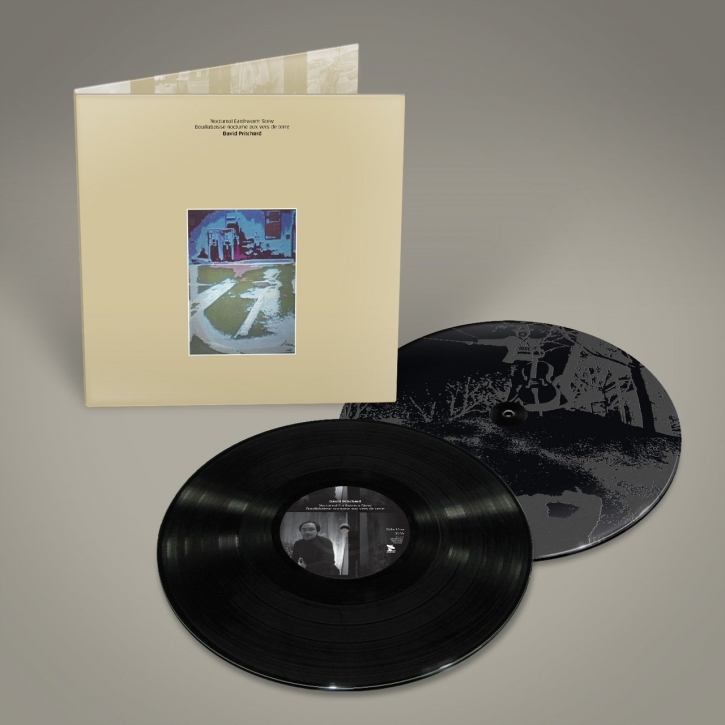 The audio is remastered for vinyl across three sides, and a fourth side contains a marvellous etching of Pritchard himself. Bonus tracks that were never pressed to vinyl are also included.